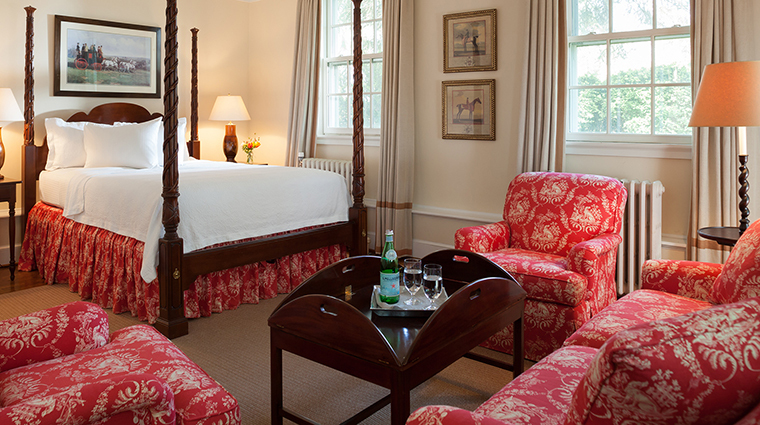 Winding roads lined with horse farms and expansive fields set the scene for a stay at Forbes Travel Guide Recommended Goodstone Inn & Restaurant in Middleburg, Virginia, a 265-acre equestrian dream. 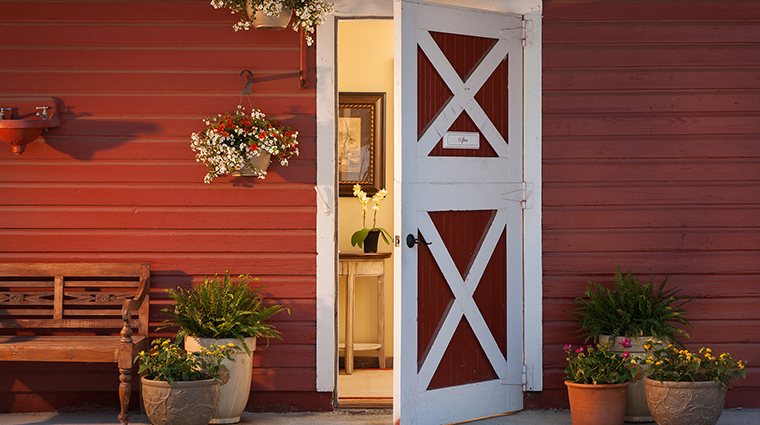 At the countryside hunting estate, the style, service and décor exude Southern charm. Don’t ride or hunt? 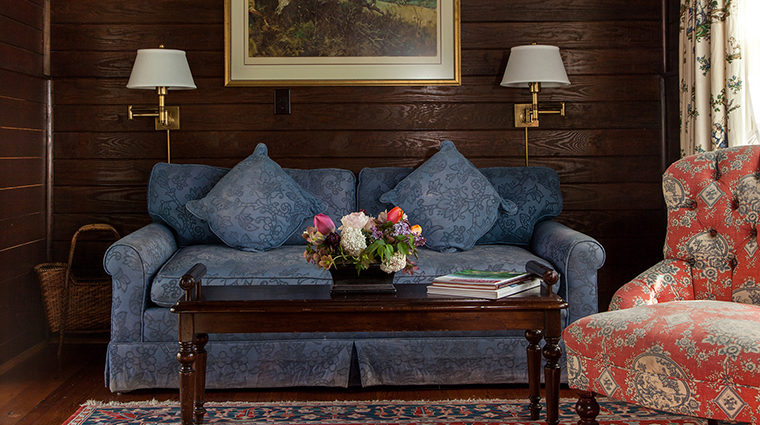 Retreat to the Carriage House great room and sit at the hand-carved dark wood bar amid duck decoys and photos of Middleburg’s annual foxhunt. 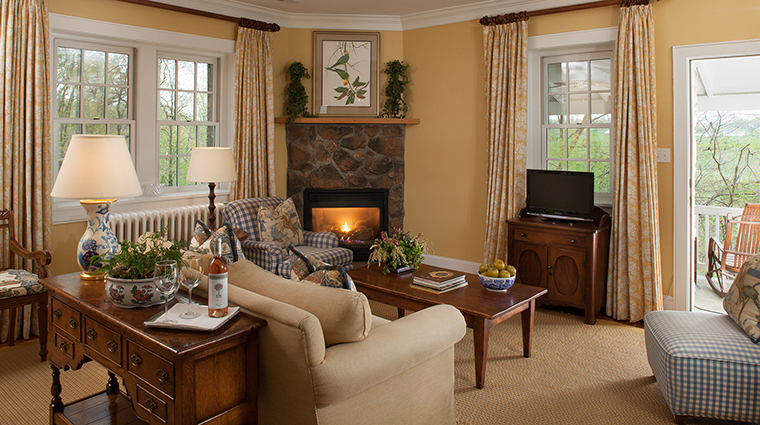 The Carriage House, Goodstone’s main building, is also home to a civilized complimentary afternoon tea served with pastries or small sandwiches daily to guests lounging on the plush sofas and leather chairs in front of the stone fireplace. 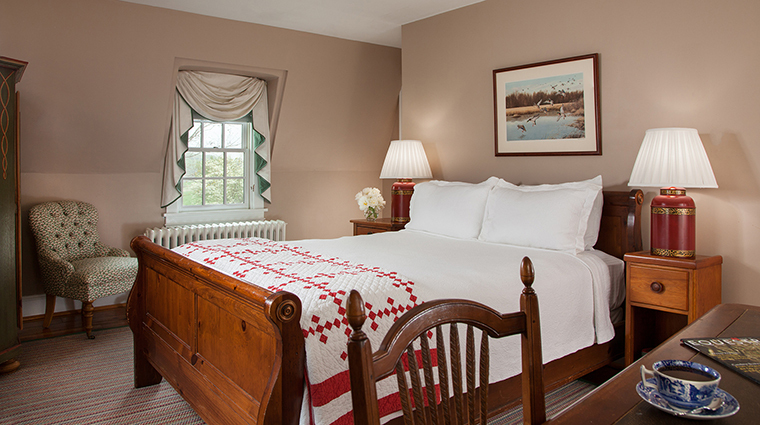 The Carriage House also holds The Restaurant at Goodstone, with French-influenced American cuisine utilizing the freshest locally sourced ingredients. 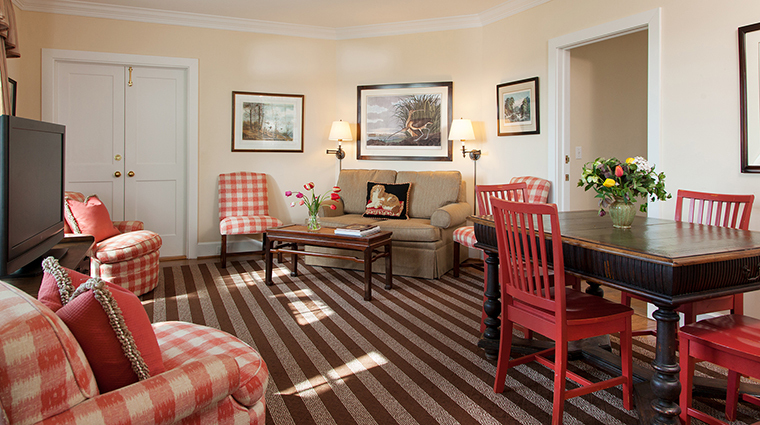 For a nice view, take a dip in the Goodstone’s heated pool, which has the Blue Ridge Mountains in the backdrop. 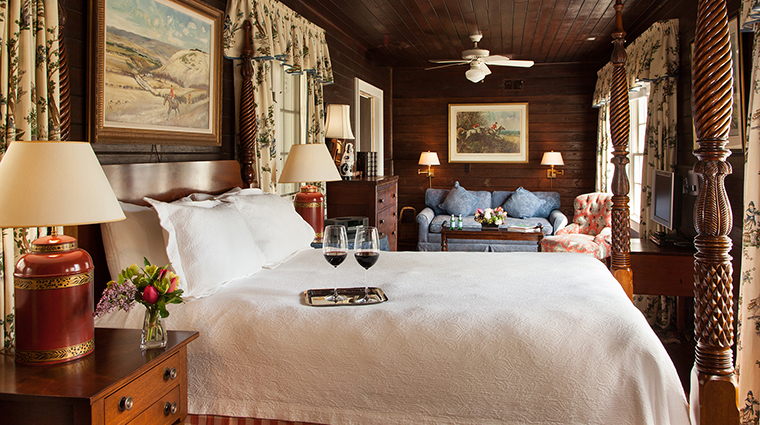 • The Manor House, which holds four guest rooms, exemplifies the classic Southern-meets-British hunt design style of the property with its palatial stone patio overlooking vast horse fields, a formal dining and living room, and a sun porch begging for a mint julep. 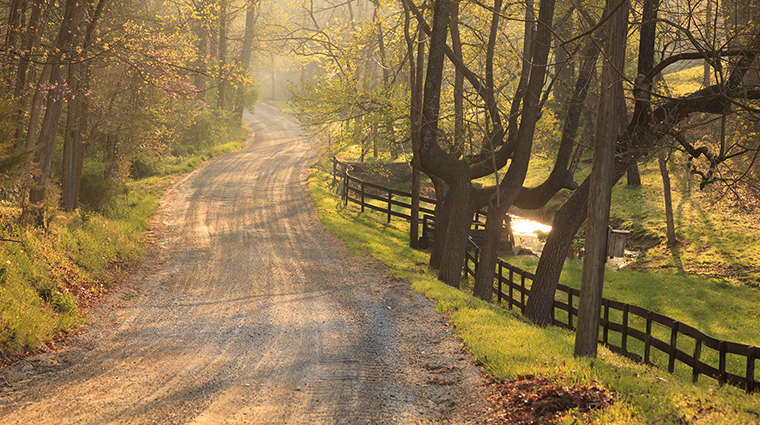 • The Middleburg, Virginia, hotel’s driveway is lined with twisted, tall old trees; lanterns; and stone walls, all appropriate indicators inviting you to journey to a slower, more relaxed time. 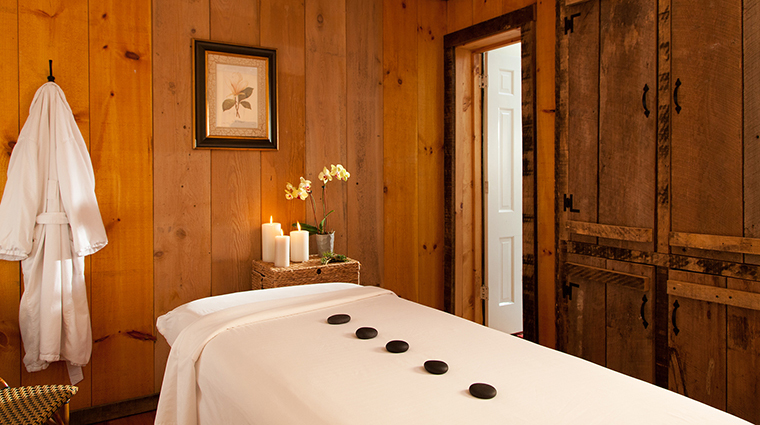 • The rustic spa is comprised of two treatment rooms for massages and facials that are small and remotely located but quiet and beautifully appointed. • Bragging rights are certainly in order for Goodstone’s wine list which features more than 1,500 bottles in the Carriage House’s wine cellar. 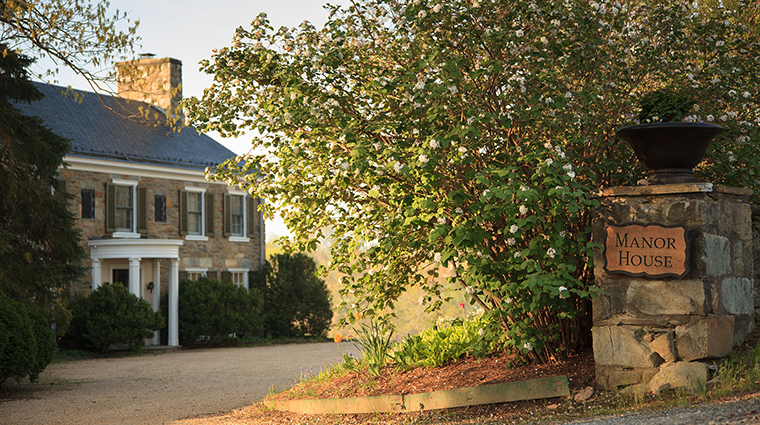 • No matter where you go on the grounds, you’re ensured tranquility — children under 10 are not permitted at Goodstone Inn & Restaurant. 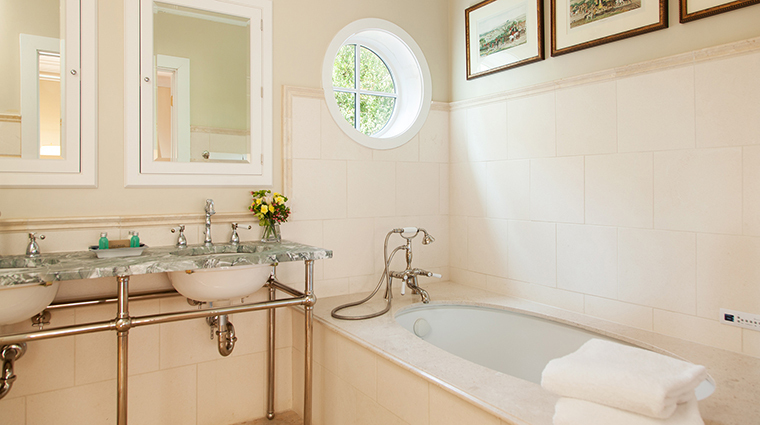 • The grounds of this scenic Virginia property feature a lovely bathhouse created by the stone remains of the property’s first manor house, which burned down almost a century ago. 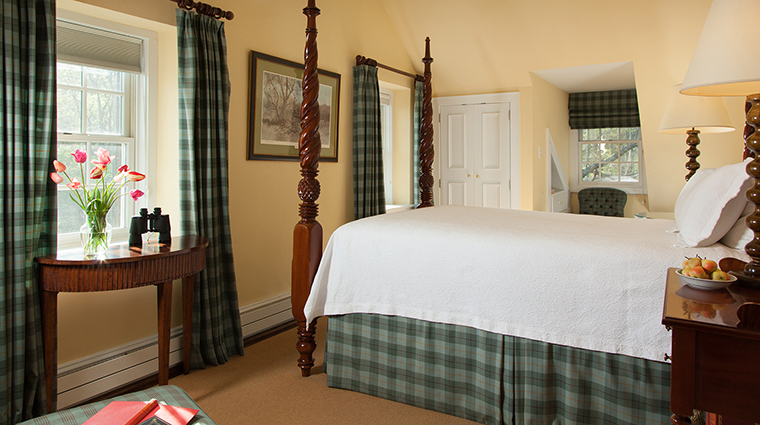 • Goodstone Inn & Restaurant’s 18 rooms span the entire property’s 265 acres, so car rides or long walks to and from breakfast are essential from some accommodations. 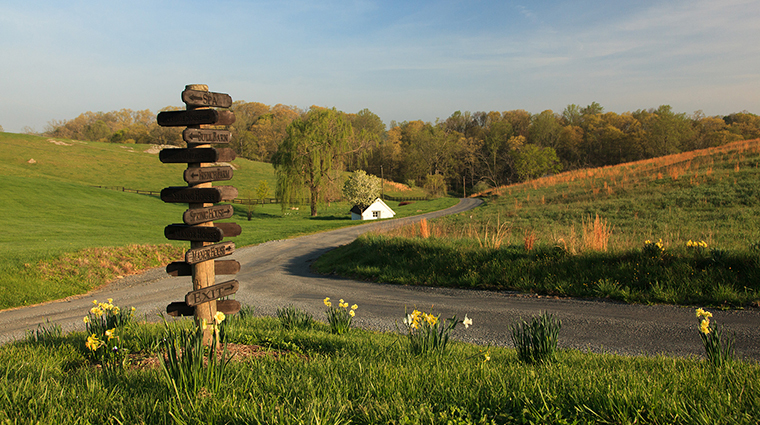 • Goodstone’s property is home to a working farm, from which the restaurant receives much of its produce. • There are four houses and cottages, each with multiple guest rooms and a communal area for all guests for share with a porch, hammock and gas grill. 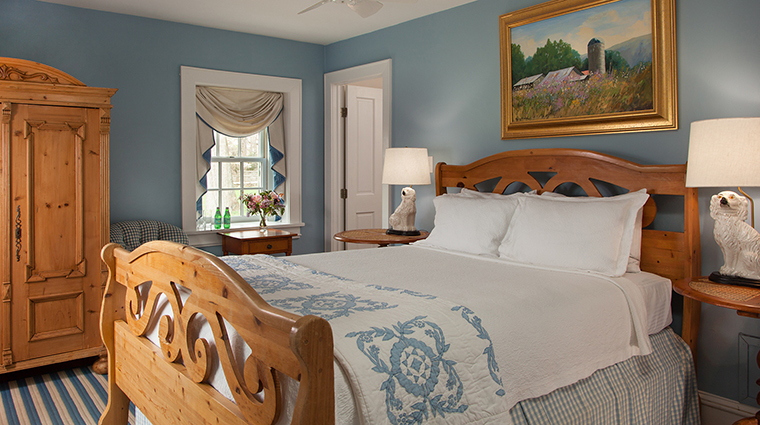 • All guest rooms except the Bull Barn have queen beds, and some have pullout sofas. 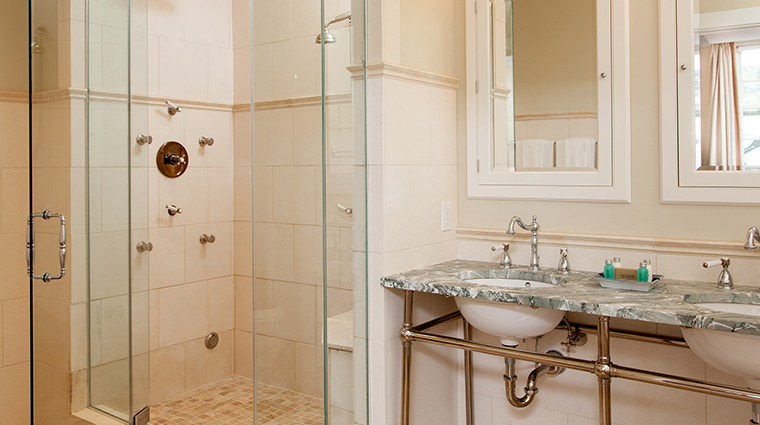 • Amenities include Keurig coffee makers with a variety of coffee pods and a refrigerator stocked with complimentary San Pellegrino and soft drinks. 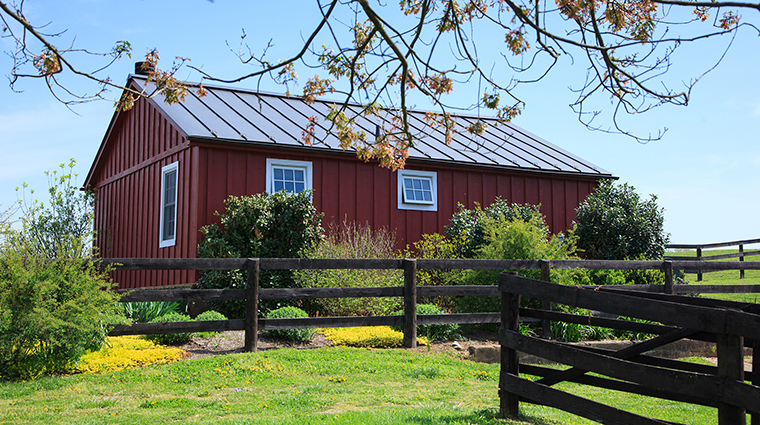 • You’ll find a masculine look in the Bull Barn, a the sixth and final standalone building created from a reconstructed bullpen with a wood-burning fireplace, a sitting room with leather chairs, copper sinks in the bathroom and a California king bed. 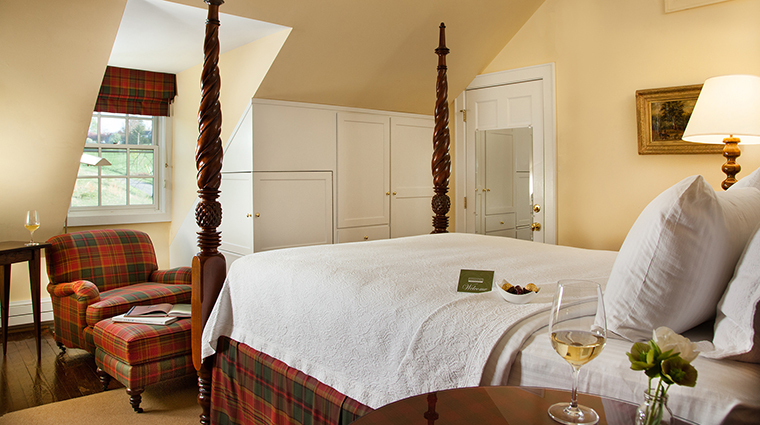 • There are also feminine touches, with canopy beds and drapes in the bathrooms. 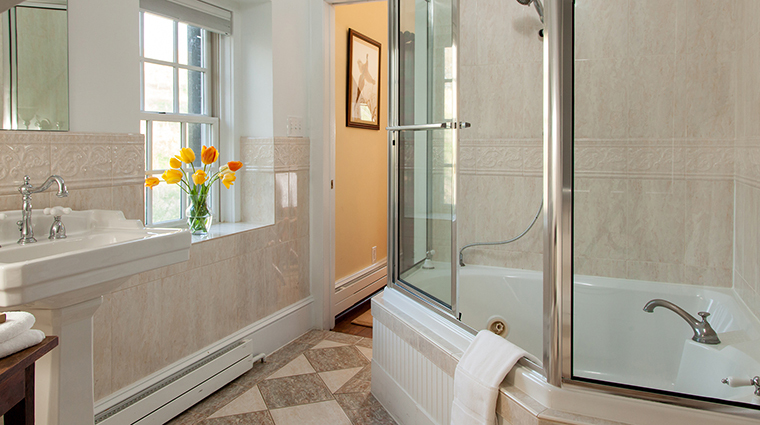 Some bathrooms have hand-painted tiles with landscapes from the luxury hotel’s property. 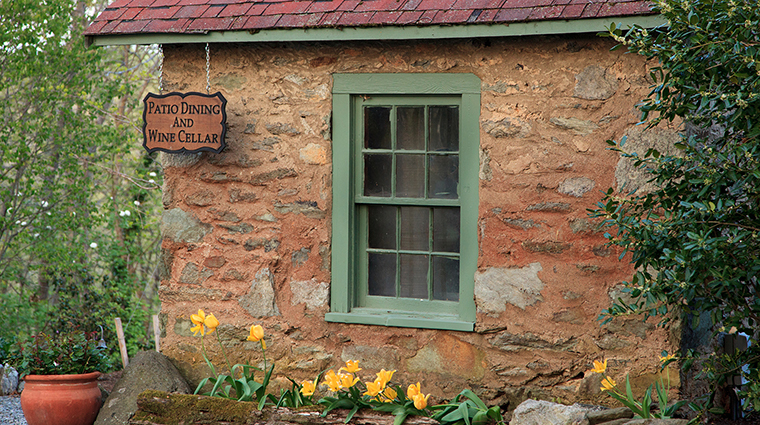 • The Restaurant at Goodstone uses classic French cooking to highlight the best of Virginia’s local food and wine. • The hotel’s signature restaurant serves breakfast, lunch and dinner, except on Tuesday when it offers breakfast only. • The Forbes Travel Guide Recommended restuarant is a small, 40-seat fine dining room overlooking the property’s rolling fields. Because of the space’s size, the tables are fairly close together and there are two seatings for dinner — 5:30 or 8:15 p.m. (no children are allowed at dinnertime). • For dinner, dig into rustic dishes such as the mushroom strudel, which has a flaky outer crust and a creamy mushroom stuffing. Foie gras is seared then served on roasted French toast in a sour cherry sauce. 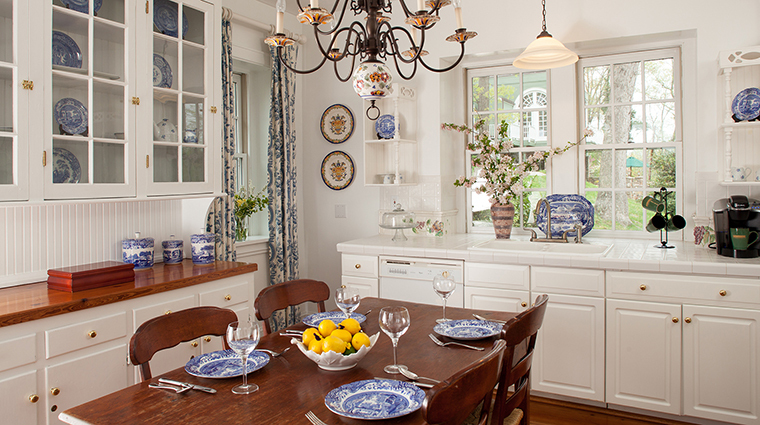 • If you feel like dining outside, the kitchen will pack picnic baskets with anything from sandwiches to cheese and charcuterie.